Rebecca Lange - Norwex Independent Sales Consultant: Norwex is for kids too! 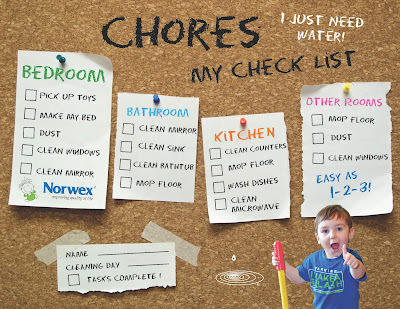 *The Kids EnviroCloth, Window Cloth, and Dusting Mitt are now sold separately. The rest of this line has been discontinued. Please view our NEW Kids Towels in new colors, our NEW Kids Pet to Dry, and our NEW Kids Toothpaste! We've already discussed the great Norwex products for babies. 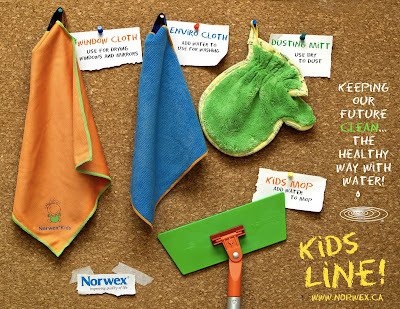 The Norwex Kids Line is a great way to let your little ones start helping out around the house, without exposing them to harmful chemicals. 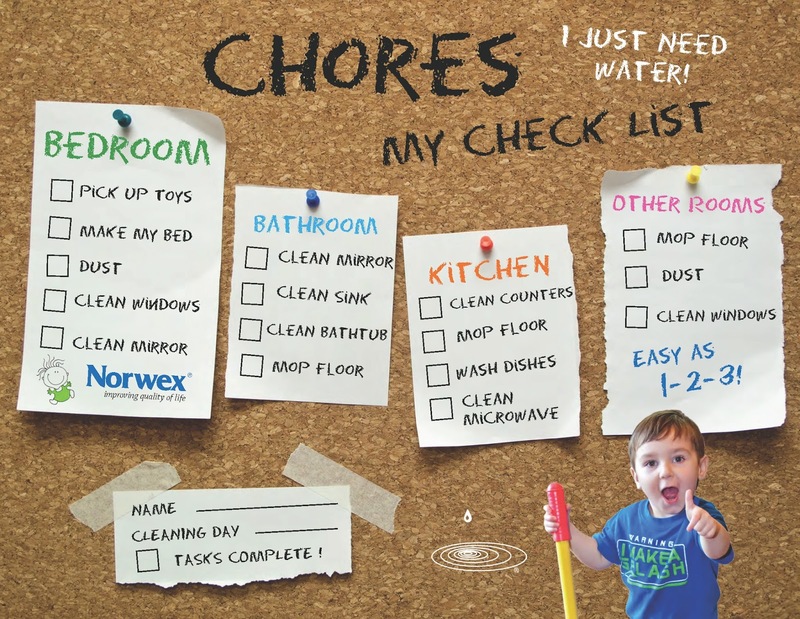 Our mission to save the planet starts with children by offering kid-focused products, so your children will grow up cleaning without chemicals, thus "improving quality of life." 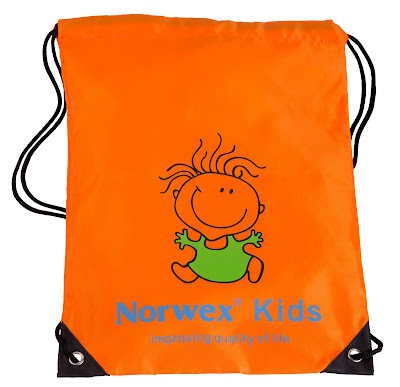 Norwex also has a bright Back Pack (DISCONTINUED in 2015) to carry a lunch box, gym clothes or for a trip to the park. 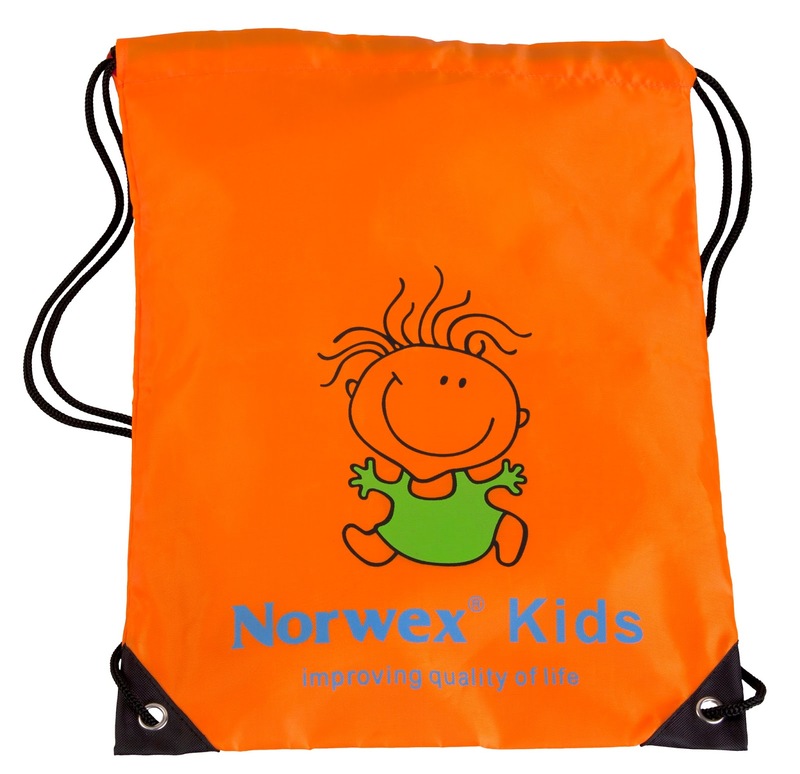 It is small, light and brilliantly colored - perfect for toting around all those extra items. 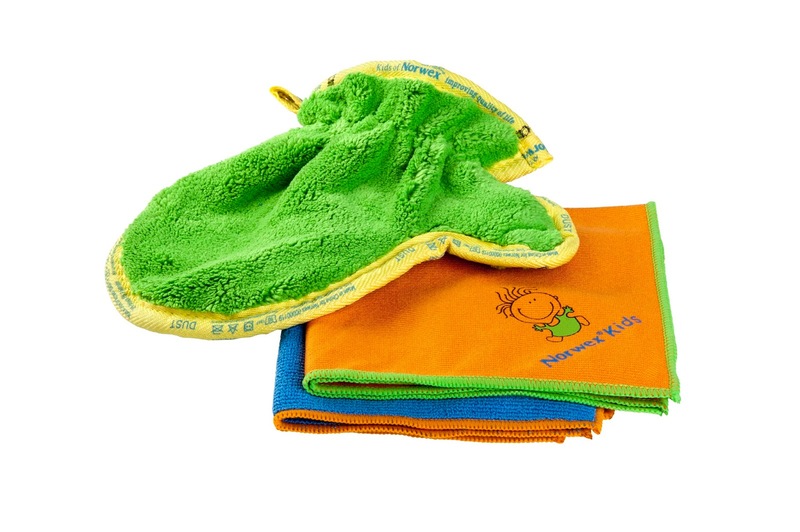 Also, check out the Kids Towel, a vibrant Apple Green towel with Sunshine Yellow trim - It is sure to be a favorite! This towel is lightweight, soft, supple, and super absorbent. 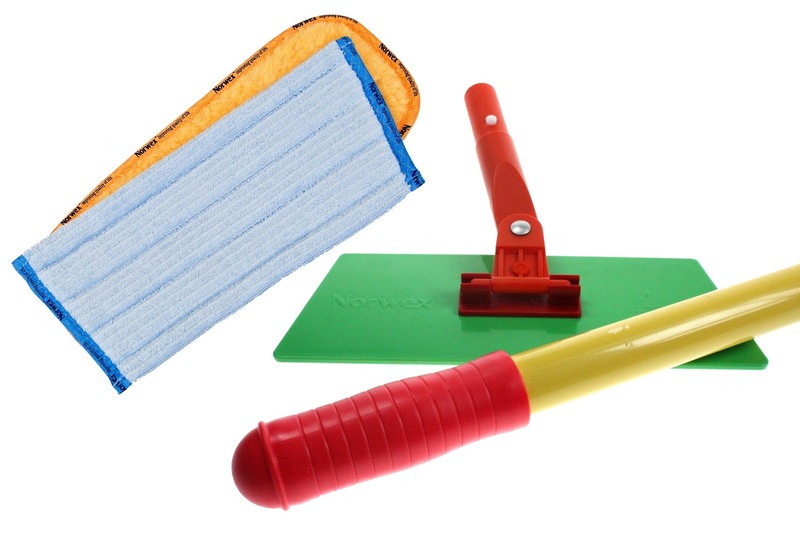 It dries very quickly, and is a great space saver for camping or a gym bag. For drying, a patting motion is recommended when using the microfiber towel. Use it for drying hands, drying body, drying hair, and exfoliating dead skin. Cherry extract – Prunus Serotina (Wild Cherry) Fruit Extract is a Natural fragrance ingredient. Polyglycosides – relatively new foaming agent made from corn starch glucose. Rinses away easily and does not leave a film or streaking. Good skin compatibility and is mild, resulting in reduced skin irritations. SKIN-FRIENDLY. Very high degree of biodegradability. 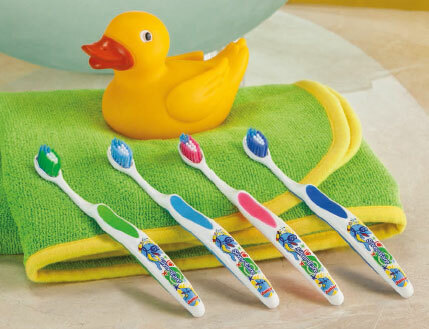 Finally, new for Fall 2013, is our Kids Toothbrush line (DISCONTINUED IN 2015)! On contact with water, the pure silver on the unique bristle base releases active ions that eliminate up to 99.9% of the bacteria commonly found on toothbrushes — ones that cause plaque, cavities and gingivitis. An exciting feature of these toothbrushes is that comparative tests between Silver Care and traditional toothbrushes show reduction level of Streptococcus mutans, the principal cavity-forming bacteria. The Kids Toothbrush is available in light blue, green, pink, and dark blue.